If you follow me on instagram (@designershay), you may have seen all of the fun I was having setting up for the holidays with my family over the last few days. So, today I thought I’d share a quick recap of a few of our tabletops over Christmas. 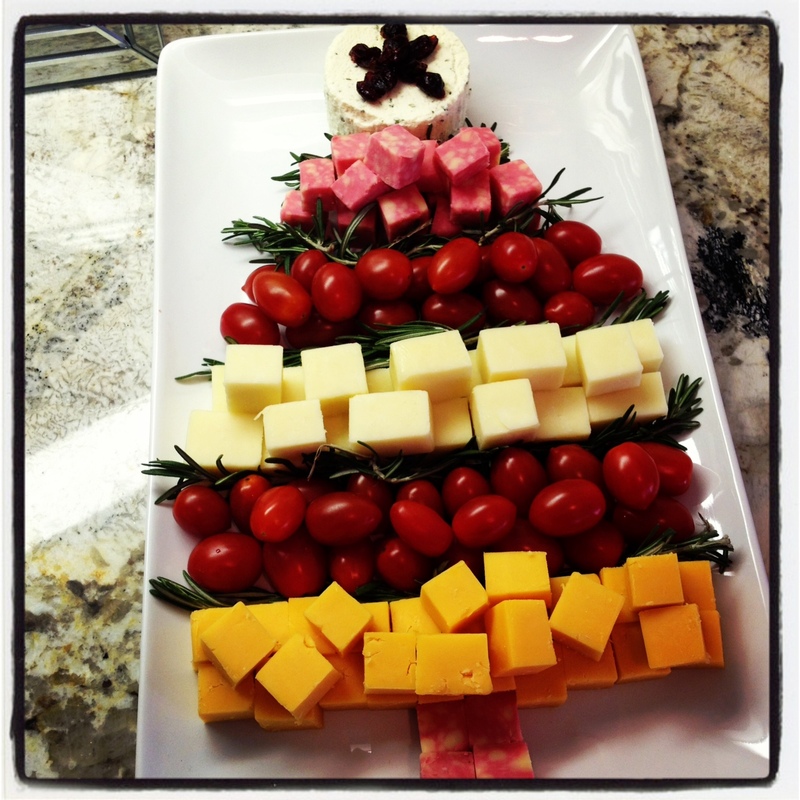 I made this Christmas Tree cheese tray for Christmas Eve. I found the idea on Pinterest & made a few small tweaks. I used Boursin cheese for the tree “topper” & made a star on top with dried cranberries. Port cheese, white cheddar & aged Vermont cheddar cheeses are layered between cherry tomatoes and rosemary twigs. It’s so easy & makes quite the festive presentation! We gathered in our formal living room after we returned from Christmas Eve candlelight service to have some yummy food & enjoy the eve of Christ’s birth. 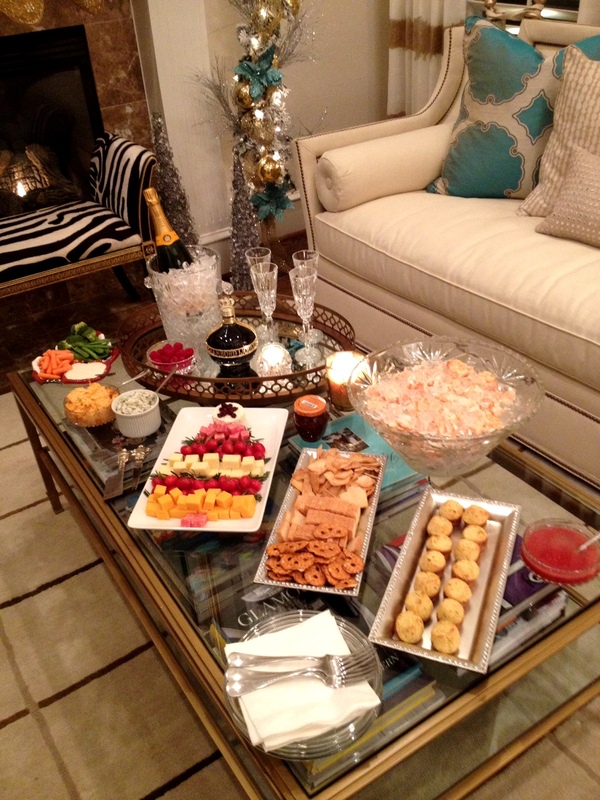 Our spread consisted of the Christmas Tree cheese tray, dips, shrimp cocktail, cheese biscuits and veggies. This has been a tradition in my family since I was a kid. Now as an adult, it brings me so much joy to go all out to spend quality time together like this with my family. 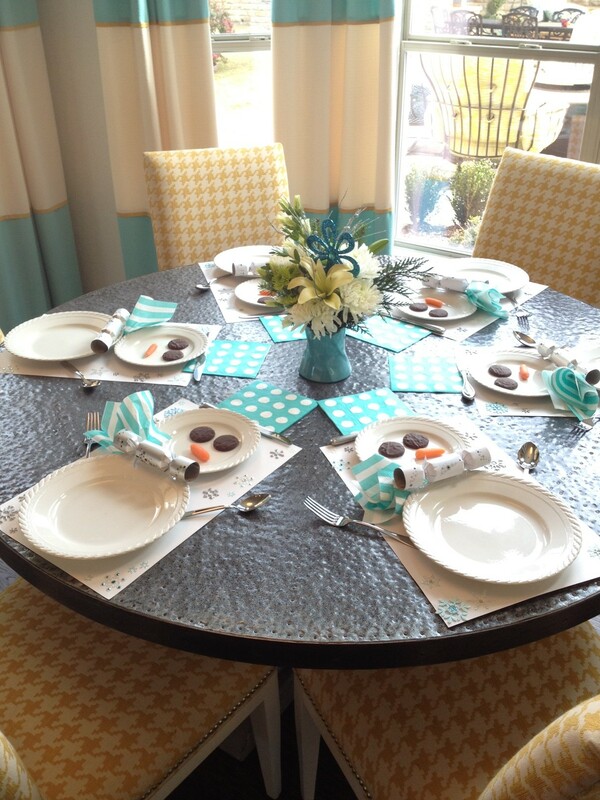 This was the kids’ table setting for Christmas Day dinner. The inspiration for this table also came from Pinterest, but I made a few tweaks to this one as well. 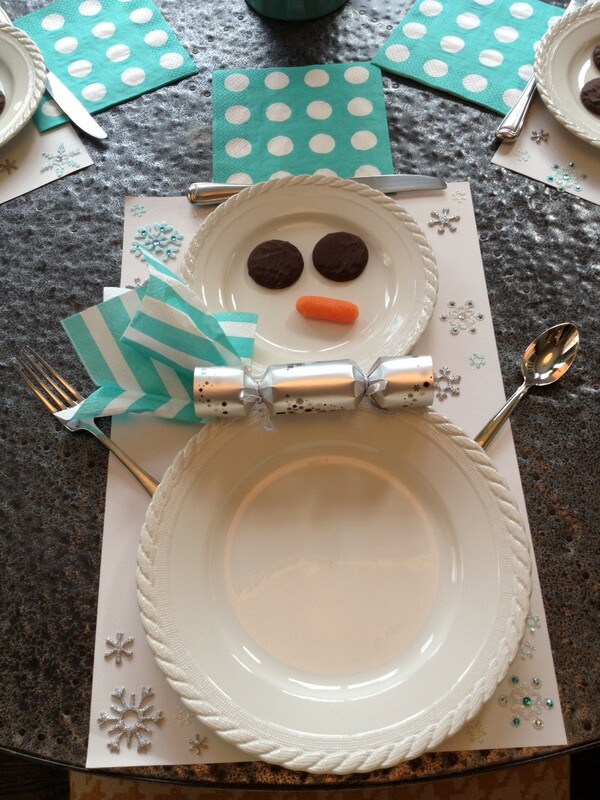 We used chocolate covered mint oreos for the eyes, a carrot for the nose, party crackers for the bow tie, dinner & cocktail napkins for the hat & scarf, our casual china for the snowman’s body & head and silverware make up the arms & the brim on the hat. My daughter Jaylie had so much fun helping me set the table! We will definitely keep this cute idea in our file for years to come! 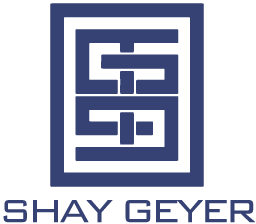 For more design inspiration follow me on Pinterest and instagram (@designershay). Happy Holidays & Happy Decorating!! !